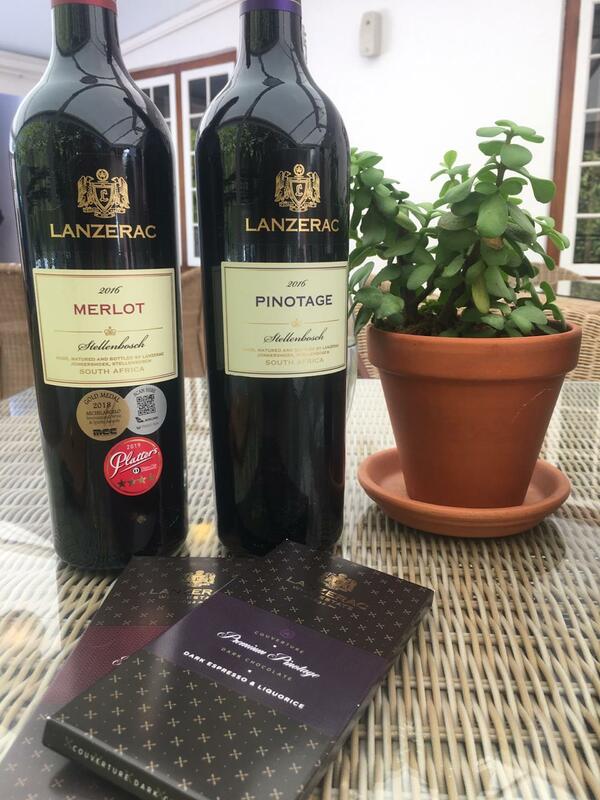 If you’re stumped for something to do on a Saturday or Sunday afternoon, why not make a quick stop at Stellenbosch wine icon, Lanzerac Estate? 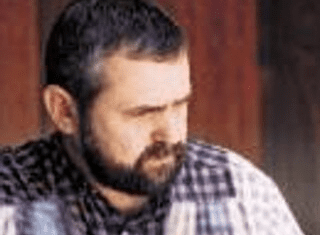 A wine and chocolate pairing at the tasting room including a lazy lunch at the estate’s gourmet pub, Die Taphuis, is the perfect remedy for those ‘bored stiff’ weekends, as Anton Pretorius recently discovered. Cheese and wine pairing has been around for decades, but now, it’s the turn of chocolate and wine to take centre stage. And who doesn’t love a good wine and chocolate pairing? It combines two of life’s most delicious pleasures. But pairing them can also elicit a challenge. Both offer intense flavours and complexity – a proper pairing can lead to Shangri-La while a poor pairing can result in a City Lodge experience in your mouth. 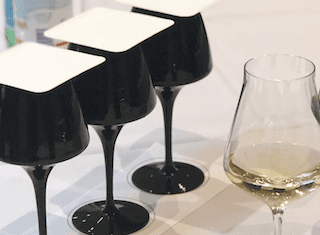 It’s well-known that a successful chocolate and wine pairing should be vivid, producing enhanced sensations and tastes across the palate, revealing hidden flavours in both, for the first time. The 327-year old Lanzerac Wine Estate – nestled in the Jonkershoek Valley between the majestic Stellenbosch Mountains – is considered the ‘grand old lady’ of the Cape winelands. 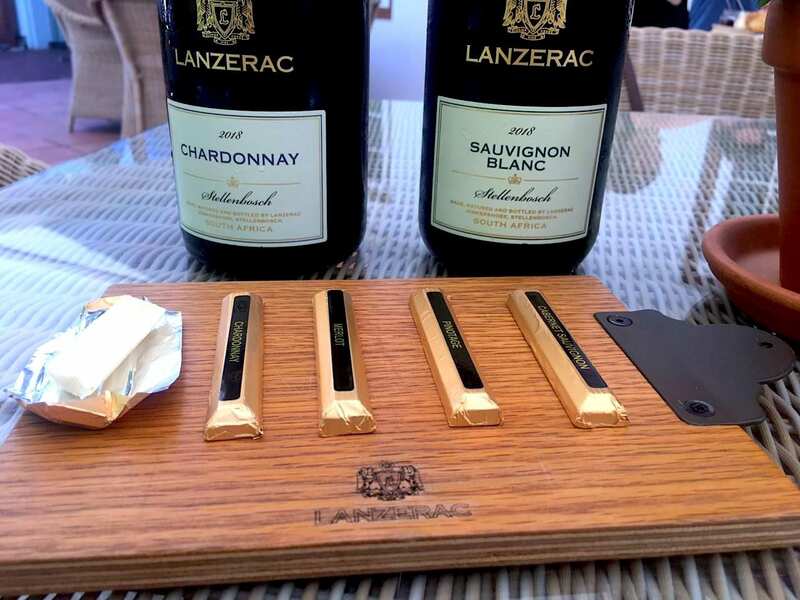 Its tasting room offers five specially-made chocolates – made by well-known artisan chocolatiers Chocolats Marionnettes in Knysna – that’s expertly paired with five award-winning Lanzerac wines – the aim being to complement and bring out the flavours in both the wine and the chocolate. My wife Niecole is a self-proclaimed ‘chocolate-connoisseur’ (what woman isn’t?) and jumped at the opportunity to get stuck in this highly-recommended tasting experience. 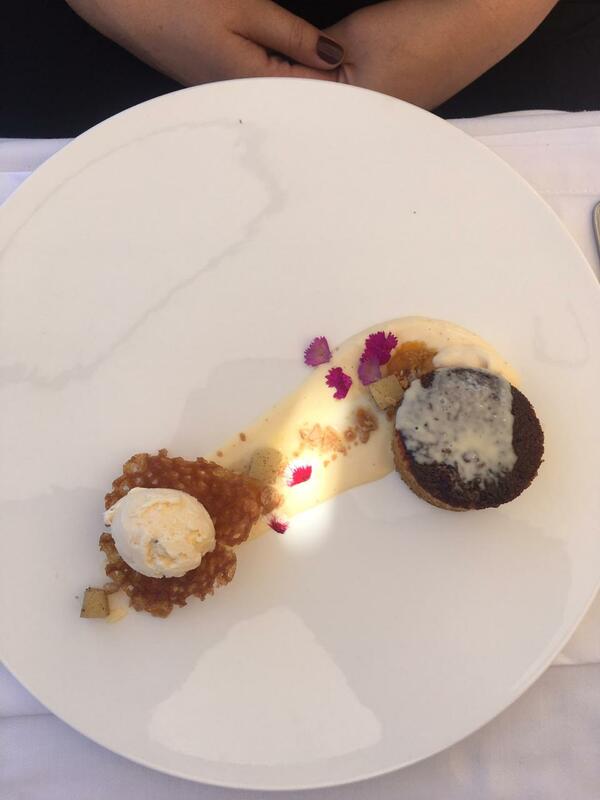 Lanzerac’s chocolate & wine pairing creates an atom-sized sensory explosion of flavours in your mouth. Lanzerac offers five specially-made chocolates – made by well-known artisan chocolatiers Chocolats Marionnettes in Knysna. After all the wine and chocolate, we needed something savoury and substantial to set us right. Lanzerac Estate has so much to offer that the Taphuis Bar is easily overlooked. This gourmet pub-style menu offers platters for sharing and light meals in a relaxed environment with beautiful country charm. 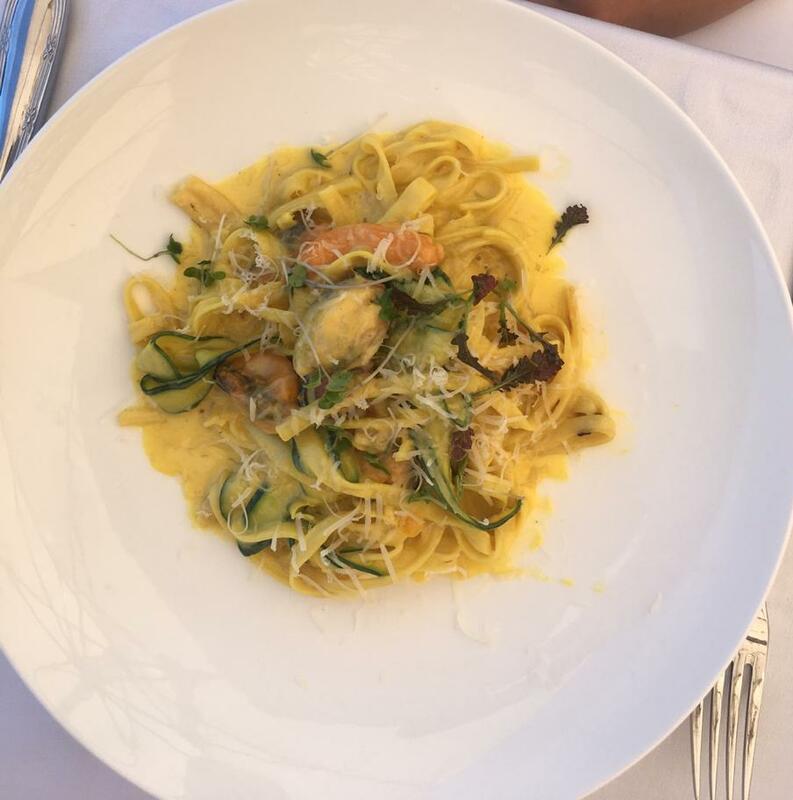 Die Taphuis’s marinated mussel pasta. After most of the bar was lost in a fire in 2017, the new Taphuis was born and sports a much lighter and more modern look without losing that authentic, rustic feel. My lunch was the pan-fried line fish (Cape Salmon) with vetkoek, dill potato, warm tartare sauce and apricot glaze (R180). The fish was cooked to perfection and beautifully complemented by the dill potato, sweet vetkoek and tartare sauce. It was an intense fusion of flavours. The portion was just right – providing good value for money and not too heavy – making it the perfect lunch meal. I washed it all down with a glass of Lanzerac’s delicious Chardonnay 2018. 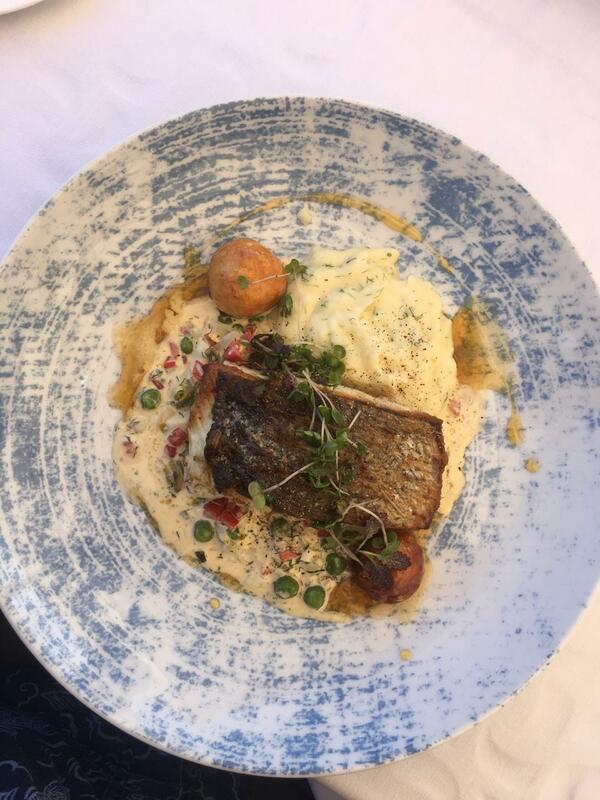 Die Taphuis’s pan-fried line fish (Cape Salmon). 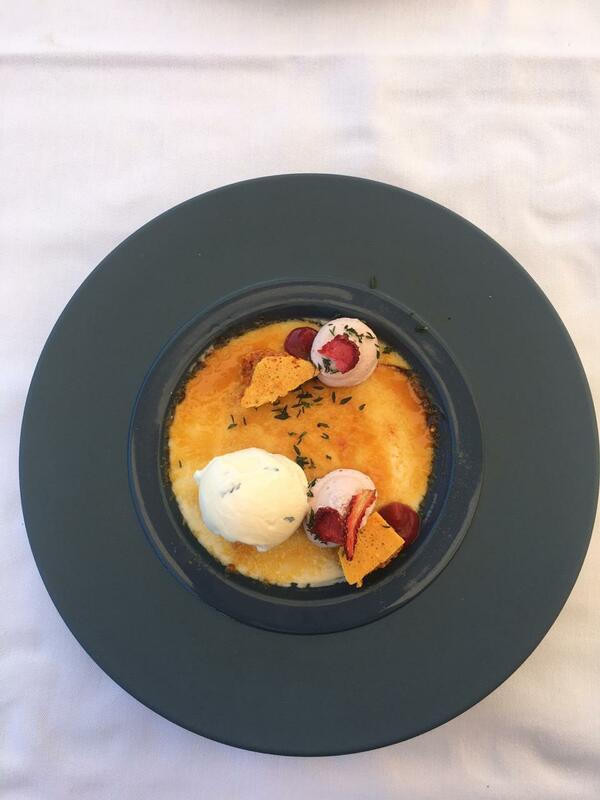 My desert was the Tonka Créme Brûlée with honeycomb, strawberry mouse and thyme ice cream (R80). What made this Créme Brûlée so special was the addition of the strawberry mouse, which really added another taste dimension to the dessert. 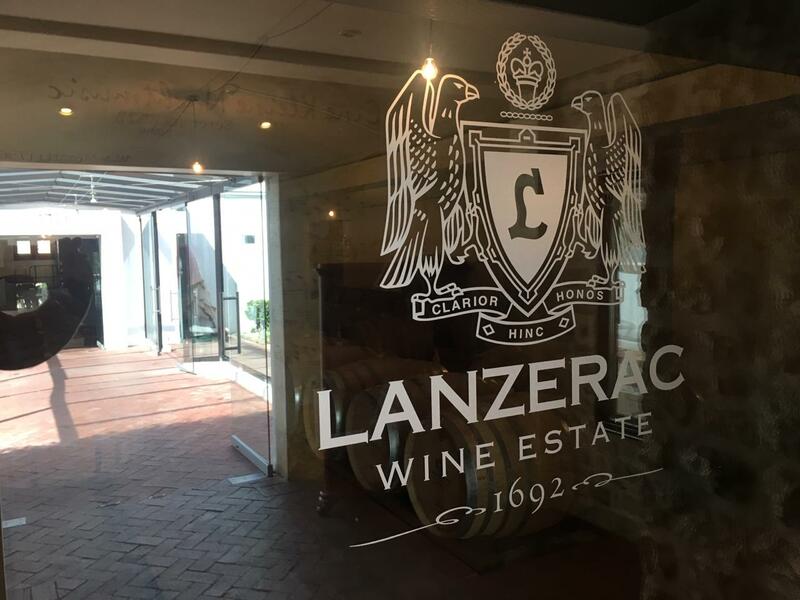 Our afternoon stop-off at Lanzerac was a really fantastic experience and a wonderful way to kill of a couple of hours when you’re stumped for a quick, four-hour hassle-free weekend activity. That said, our experience was just the tip of the Lanzerac iceberg as the estate offers a myriad of other relaxing and indulgent experiences. You’ll need at least a weekend or two to explore them all! 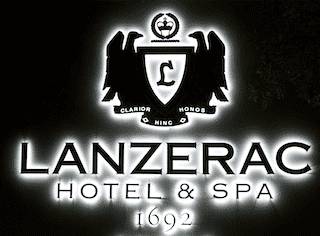 Visit www.lanzerac.co.za for more information. Tonka Créme Brûlée with honeycomb, strawberry mouse and thyme ice cream.